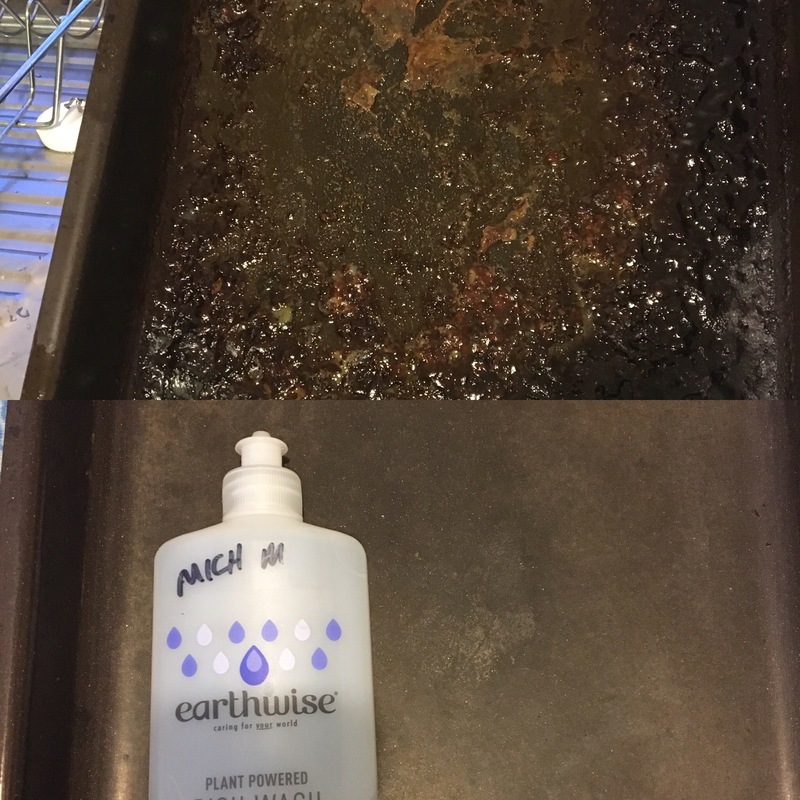 Earthwise Dish Wash is mild and gentle on your hands. It leaves your dishes squeaky clean and streak-free. It is grey water and septic tank safe, and contains biodegradable surfactants - a gentler choice for you and the environment. The subtle scent of the elderberry leaves your hands soft and fragrant. I like trying new things and new products and was curious as to how this would work in my house. I find that I normally react to natural and sensitive choices so was a bit worried that I would end up with a nasty rash and that I would deeply regret my eagerness to give this a go but I didn&apos;t have to worry even after heaps of washes I find that my dishes are clean, the water is nowhere as soapy as with other brands but cleans incredibly well and that my hands haven&apos;t felt itchy or developed a rash at all. I did give it a bit of a sniff (just being curious) and find that the fragrance is not overpowering and not at all bad. I did some dishes and was amazed at how easily they came clean and that I didn&apos;t have to change the water and that there aren&apos;t hundreds of bubbles. My dad cooked a roast and even the pan cleaned really easy, I put a generous squirt of liquid in the pan and some hot water and left it to soak overnight and it came clean with only a light scrub so I&apos;m over the moon. I also make my own yoghurt and sometimes the container needs a bit of a clean to really get the left over yoghurt out. My normal way is to put some warm soapy water in and give it a shake before washing it so that is what I did with this product and it looks like it has already been washed. I notice that there are a few fragrances available so based on how well this cleaned and how well my hands coped with the detergent I&apos;m going to be giving them all a go. I&apos;m a very health conscious person and for me part of that is also using natural products around the home that are not only better for us but better for the environment as well. I&apos;ve tried a number of Earthwise products with great results so I was excited to receive this product to review. The first thing I noticed was the scent. It smells amazing and I love that it&apos;s different from the standard citrus. The clear bottle makes it easy to keep track of how much is left and I love the simplicity of the labelling which I think is very in keeping with their image. It initially suds up quite a lot but they don&apos;t last long (according to the bottle it&apos;s a low suds detergent). I felt like it did a decent job but left my glassware a little cloudier than usual and was difficult to rinse off fully (bearing in mind that my comparison is also a natural product). It did however work really well on my greasy pots and pans. The price is very reasonable for this type of product and since it&apos;s a concentrate, a little goes along way. I would buy it again purely because it smells so good which makes doing the dishes a little bit more enjoyable. 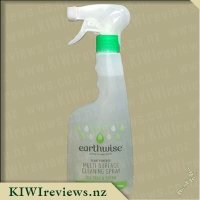 Earthwise is a company whose products I have to love and trust as a result of receiving their goods through KIWIreviews over the last little while, as a result of this they are the only brand I purchase for all household cleaning now as I just love that they are great for both mine and Miss 4&apos;s sensitive skin! I loved the sound of this dishwashing liquid due to the fact it was called &apos;Elderberry&apos;, and although I hadn&apos;t a clue what exactly an Elderberry is I love the smell of berries and so thought that the smell would reflect this. I love the bottle that the dish washing liquid comes in, it&apos;s a lovely tall, slim design which makes it easy to grasp in your hand and also easy to store on a shelf amongst other cleaning products without taking up a heap of room! The design of the label is simple and fresh, and I really love the shades of the purples, blues and greys together. I noticed that the bottle has a pull up cap which I really like and prefer to the previous flap style lids on the old Earthwise dishwashing liquids, I find this easier to open one handedly. 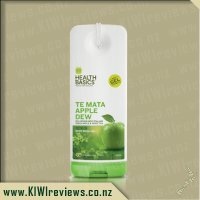 Using the dishwashing liquid for the first time I have to say I was happy with the way it went, there were just enough bubbles, not to many like I sometimes find you get with other brands and it also didn&apos;t feel to soapy on my hands which is important to me as I have very sensitive skin. Best of all it smelt great like berries, though I did feel as though it had a slight scent of tea to it? 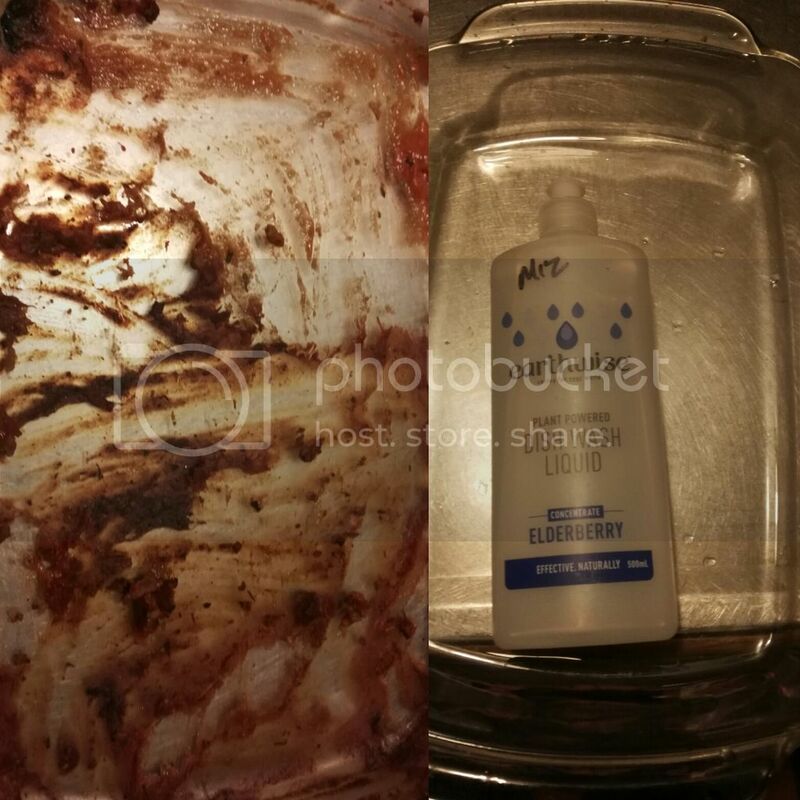 My dishes were easy to clean with this product, even those with grease and stubborn stains were not at all a problem, and it didn&apos;t leave any streaks once they were dry another great added bonus! 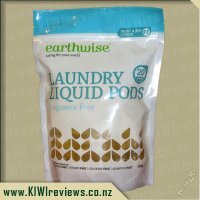 All in all another amazing Earthwise product which is going on my shopping list next time I need some dishwashing liquid. Earthwise is a company that has products I really enjoy. I like the idea of more natural products, that are safer for the environment, and don&apos;t just smell of manufactured citrus and lemon all the time. 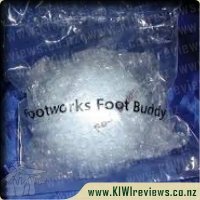 This item is made in New Zealand, recyclable, cruelty free, and plant based. 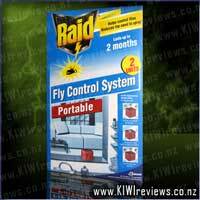 The fact that the product is Environmental Choice New Zealand certified is testament enough to its quality. But I had best test it out. 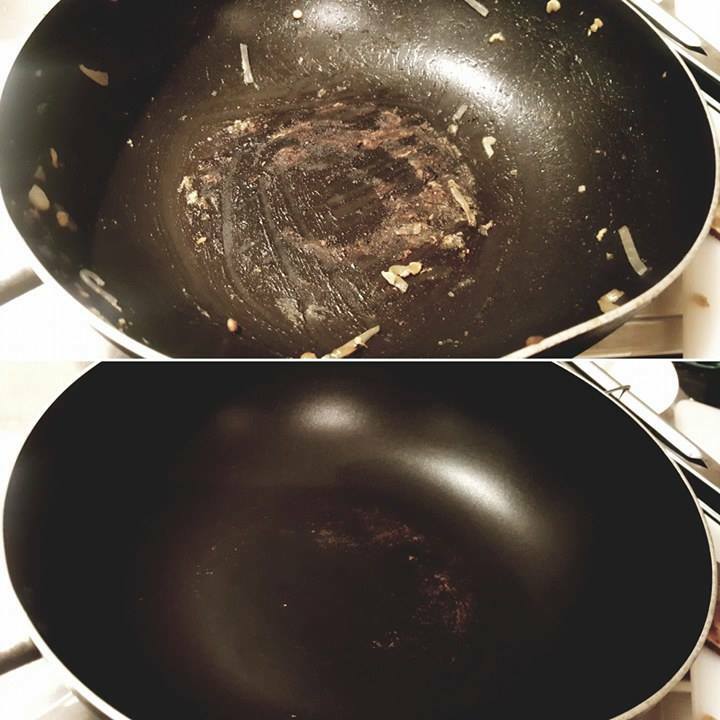 I have a wok-style pan that I use for pretty much everything in the kitchen, which has had some pretty heavy use, and not very well looked after. Cooking the Sachie&apos;s Kitchen Pad Thai, I ended up with some egg charred to the bottom, along with some noodles and sauces glazing the entire surface of the pan. A quick scrape with a wooden spoon told me that the stuff was stuck on pretty well. Enter the earthwise elderberry dish wash liquid. I like the packaging, as it isn&apos;t completely smooth, which makes it easier to grip. Adding a little bit to the pan (the instructions specifies half a tablespoon), a added some hot water, and let it stand for a couple minutes. A quick run over with the scrub brush afterwards, and all the stuck on pieces fell away and the greasy sauces were washed away. The smell was nice (finally something that isn&apos;t lemon or citrus! 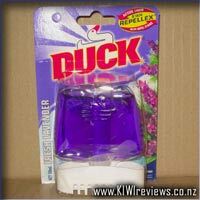 ), though it did smell a bit like the products we use to clean the toilet (whatever Duck marine blue smells like), so it&apos;s nice to know I can get that fresh and clean smell in a natural way. Living with septic systems adds another dimension to any product you need to choose that goes down the drain so we are always looking for products like Earthwise that are septic safe, value for money and actually work. This Elderberry Dishwashing Liquid by Earthwise certainly ticked all the boxes for us. In it&apos;s instantly recognisable packaging I was most excited about a product that wasn&apos;t citrus based or smelt like lemons and limes, don&apos;t get me wrong I love citrus every other day of the week but it&apos;s nice to have a change and the Elderberry was a welcome and fragrant change that I really love - yes I gave it the good old sniff test and flung it under hubby&apos;s nose in the process - "not bad" he said, so that has to be a positive. The problem with many enviro-type products that are good for the environment and septic safe is many don&apos;t actually do the job at hand particularly well, I know as we have tried pretty much everything. This however bubbled away nicely and wasn&apos;t just for looks, it actually cleaned away heavy greased pans from our roast chicken without any sign of a greasy residue. It also left glasses shining as if they had just come out of a dishwasher. Overall bang for buck, fragrance and effectiveness for me is a winner with this product. I was super excited to be able to review this dish wash liquid. 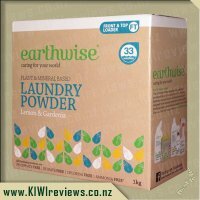 Since joining KIWIreviews I have been introduced to a huge range of earthwise products and I must admit, I have loved them all. This elderberry dish wash liquid is now permanently on my grocery shopping list (along side the ever growing list of earthwise products already on it). With two young children I go through a huge amount of dishes a day and with sensitive skin, its important to find something that my skin can tolerate along with something that makes my dishes sparkly clean. I was really impressed with the elderberry dish wash. Normally within a few minutes I can tell if the dish wash is going to irritate my skin or if it will be fine. I went about washing the dishes and had no reaction what so ever - this is HUGE in my books and I was thrilled. After I finished washing the dishes I noticed my hands felt really soft, unlike other brands which left my hands feeling almost chalky and itchy. I really like the smell of this dish wash liquid it was a nice soft scent and wasn&apos;t over powering at all. I was surprised to find that this product is only worth $3.99. In my eyes I think that is a great price for a product that is gentle on my skin and also amazing at cleaning my dishes. All in all another fantastic earthwise product that I would happily buy again. Thanks earthwise. I was stoked to receive the Earthwise Elderberry dish washing liquid concentrate in my review package. 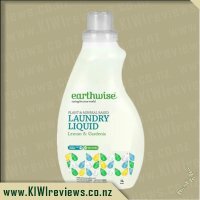 I was keen to review this product as I already use and love the Earthwish household cleaning products and soaps so wanted to try the dish washing liquid. I do the dishes 3 - 4 times a day so to me it&apos;s important to use a product that cleans the dishes well and also is gentle on my sensitive skin - this product definitely ticks all the boxes. The clear bottle is handy as you can see just how much dish wash liquid you have left. The Earthwise label is really eye-catching. It&apos;s simple but effective. It clearly states on the back the ingredients, directions, why it&apos;s better for you and more. All the information you could need is there. 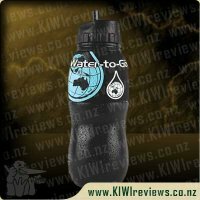 It comes in a handy 500ml bottle or a 1 litre bottle. The Elderberry scent is subtle which is nice, nothing worse than having a glass of water and having it smell and taste like dishwashing liquid which is not the case with this dish wash liquid. 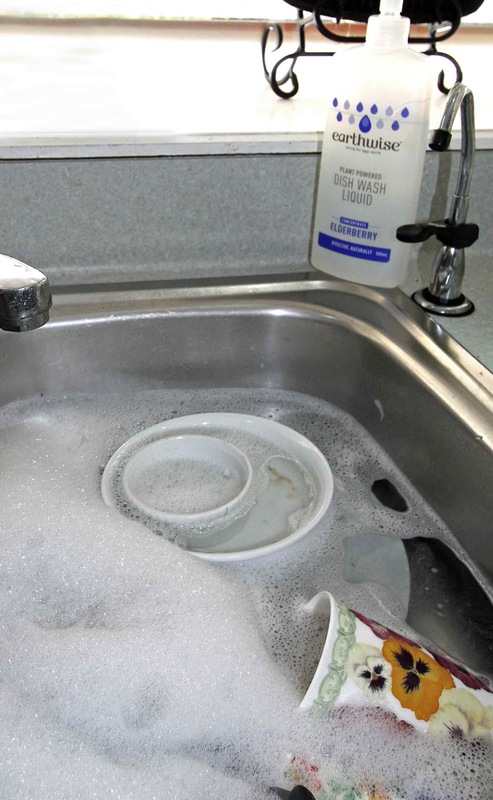 The dishwashing liquid is also low sud which is perfect, nothing worse than just having a sink full of bubbles when trying to wash the dishes. It&apos;s a concentrated dishwashing liquid so you only need one squirt per sink of dishes, a little goes a long way. I&apos;ve been using the product for 2 weeks and still have half the bottle left so should last our family a month which is awesome value for money. Overall it does a good job, leaves the dishes streak-free and clean. 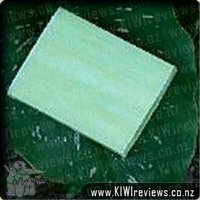 It&apos;s gentle on skin, made right here in New Zealand from natural products and contains no harsh chemicals. It&apos;s all you could want in a dishwashing liquid and more. $3.99 for a month&apos;s worth of dishwashing liquid is pretty amazing value for money. I&apos;ve mistreated my hands for too long when it comes to soaps and chemicals that they come in contact with and I have finally given myself the proverbial kick up the arse to treat myself and my hands better, so the timing for this was perfect. Now, I&apos;m a lousy dish washer, if I was getting paid for this job I would have been fired years ago, yet for once this came in handy as having day old dishes was the perfect opportunity for trying this out. Now we all know how weetbix turns into concrete if left too long on the bowl, well I had three of the damn things to try and clean. Well, a short soak, a quick scrub and they were clean, now that was unusual for me. Everything else was clean wonderfully quickly and the water still looked lovely and clean. Now last week I found myself sick and simply no energy to do much at all, let along the dishes which tends to turn my hands to sand, and so I ended up with quite the pileup of dishes (my kids are not yet old enough to do them unsupervised, think a lake indoors if they did, and a double ear infection/throat infection had me out for the count), so it was time to give this a run for its money... Well, I still needed to change the water once, but only once, the inferior soap I usually use would have required at least three changes of water. Earthwise has done it again with their Elderberry dish wash liquid concentrate being a product of suberb quality that does a great job of its intended use. After trailing other Earthwise products I was intrigued to see if this was going to prove itself to be another in the Earthwise range that is quite simply amazing or whether I had just struck their few good products. I am happy to report that this too definately fits the simply amazing term! The scent this product provides is really lovely - it smells floral yet sweet but not soapy, over powering or too strong. I really really really apreciated this fact in the product, especially being that the product is designed for washing dishes which I then eat and drink food off/out of. I especially liked this too as I have my childrens drink bottles and baby bottles to clean which I hate using over powering soapy chemical filled products on but have done so in the past. Finding a product containing no harsh chemicals is a total win and I will without a doubt be continuing to buy this product in the future. 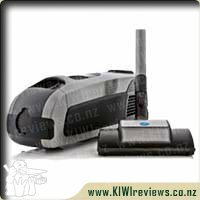 I also liked that although this product lacked in chemicals (a great thing) it didn&apos;t lack in performance and still cleaned dishes really well. Earthwise has done a great job on the packaging - its simple but stand out and I know I will be able to see it amongst the crowds on the supermarket shelves. I also liked the fact the bottle is clear as I can easily see at a quick glance whether I&apos;m running low enough that I need to add it to the shopping list. 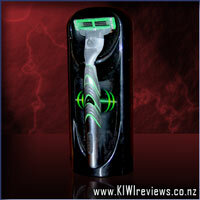 A top New Zealand made product that I am so happy to be buying and using! 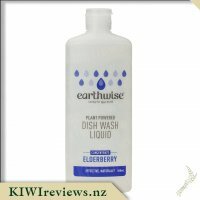 Supporting New Zealand brands is something I strongly support so having the opportunity to review this Earthwise Elderberry dish wash really did make my day. I am trying to make my family reduce waste and make better choices for our planet, I feel Earthwise also promotes this so love their brand! The bottle as well as the label is able to be recycled which is fantastic! The label is simple yet effective. 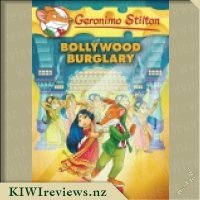 Very eye catching and easy to read. All important information is easily available. This product is Cruelty Free which is amazing and urges me to want to stick with this product. 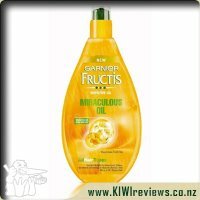 There are no harsh chemicals and as I already mentioned made right here in New Zealand! As this is a concentrate not much is required so the bottle would last a while for our family. It is described as low suds which I found to be accurate. I prefer low suds as I hate bubble marks being left on glasses and dishes. This product does not have a strong overpowering smell more of a light pleasant scent, I have not used elderberry products before so don&apos;t have a lot to compare the smell too but it is delightful! The dish wash was very effective, left the dishes looking great and my hands feeling soft and smelling fruity! We have been converted! Having very sensitive skin I am very careful with what cleaning products I use especially when it comes to things I will have to submerge my hands in. Usually washing my dishes I will put rubber gloves on to keep my hands protected but it can get annoying wearing gloves when you are multi tasking and washing dishes and cooking and helping children with homework, because once those gloves are on and wet it is a pain to get them on and off!! I found it okay to use without wearing gloves usually I will feel the tell tale itch within minutes of removing my hands from the sink and drying them off but I didn&apos;t get it with this. I would normally after a few days of doing dishes without gloves have to smoother my hands in hydrocortisone creams but a quick rub of chia seed oil at the end of the night after using this has helped my hands stay soft and free from eczema. I loved the scent elderberry is a great fragrance and it made my kitchen smell sweet and fruity while doing the dishes which was nice. I loved that it didn&apos;t leave a taste on the dishes that some dishwashing liquids can do when handwashing. 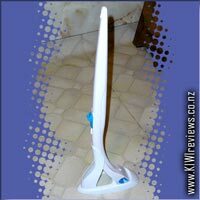 I found it very effective at washing the dishes and it had a great amount of suds to keep the dishes clean and easy to remove stuck on food. I did leave a few dishes to soak and didn&apos;t have to get into any harsh scrubbing after they had been soaked which I was glad of. I will be buying this again as I usually do with earthwise products as I feel assured they are safe for my skin and it is a bonus to be kind to the environment. I love the packaging while being plain and modern the lettering and colour used is very effective and appealing to the buyer. I didn&apos;t mind having it out on the kitchen bench as the design of the bottle makes it not appear messy on my bench. One mention of elderberries, and I am transported back to rural Ireland where we lived for several years on a smallholding. Our land boasted a geriatric elder tree complete with moss-covered branches with dead bits that fell off when you so much as looked at them. And yet it was covered each season with elderflowers which later gave way to small bluish black berries. I used both the flowers and the berries in wine, cordials and jellies, and I still remember the heady muscatel-like scent of the blossoms on a rare sunny West Coast day. So the idea of elderberry as an essential ingredient in dish wash really intrigued me. I took the lid off and checked the smell first - quite subtle, not the overpowering scent you get from the fresh product. I had some particularly greasy dishes left over from a barbecue meal so this would test out its efficacy. I had pre-soaked the worst pan (which was flecked with burned on garlic) but it was still going to be a challenge. The first sink full consisted of plates and cutlery, nothing too demanding. 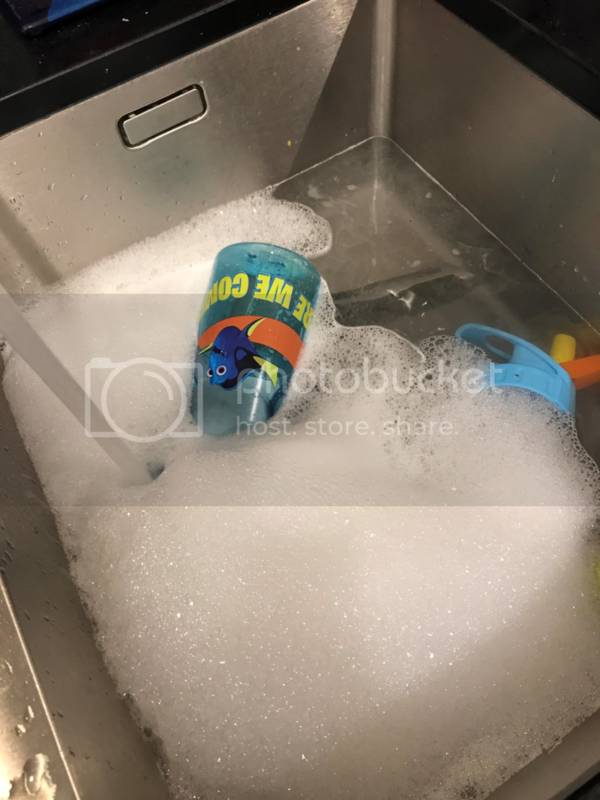 I put them into the drainer, noting that the water in the sink was still relatively clean looking and that there were plenty of bubbles remaining on the surface. Into the water went the oven dish, the frying pan, a metal fish slice, and a wooden spoon. Then I waited to see if the water would change colour and the bubbles disappear. I have to mention here that I have had some bad experiences with "environmentally friendly" dish wash liquids in the past. 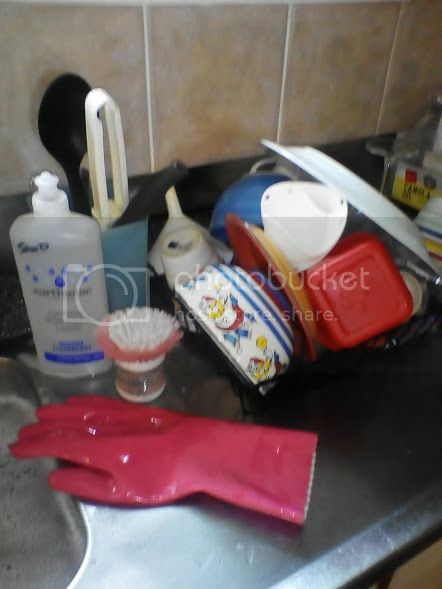 They may have had pretty packaging and claimed to contain a variety of natural ingredients, but the main purpose of a dish wash is to clean, and some I have tried did not deliver in this area. So, while I was willing to give this product a fair trial, I was not holding my breath. I left the items in the sink to soak for a few minutes then removed them one by one and scrubbed them with steel wool. The wooden spoon and fish slice were perfectly clean; all traces of grease and soot had gone. Even more encouraging was the state of the water - it still looked reasonably clean. Next was the frying pan. This took a little more scrubbing, but then it too emerged clean and ready to go back into service. Finally the oven tray, survivor of many barbecues and sooty adventures. By now the water was quite murky but I scrubbed diligently and the result was acceptable. Not completely clean, but well on the way to an acceptable level of finish. It might need another soak and then a further scrub, but I was pretty well satisfied with the outcome. After two sinks of washing (all with the one dose of dish wash liquid) I was relieved to note that my hands had survived without any sign of irritation or discomfort. With some brands I have had to resort to using gloves, but it does not appear that it will be necessary with this variety. I will certainly buy it again. Sauber is German for clean, and we are here for one reason: to provide our customers with the highest-quality products without exception.